When do we used Guided Implant surgery? Patients come into our office all the time needing dental implants. Depending on the amount of bone and number of dental implants they need our doctor, Joseph Kabaklian, will plan to place the dental implants using guided surgery. At Enamel Newport Beach our number one goal is to do dental work that is successful and lasts a long time with no complications. 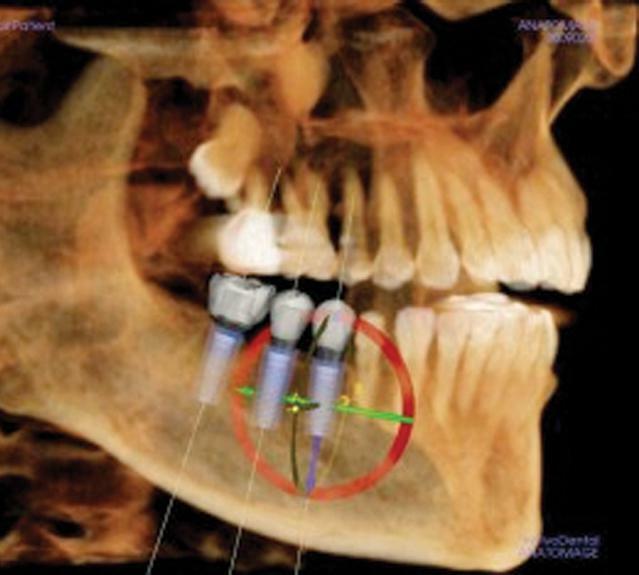 Now with the use of a 3d Cone Beam scan we can take an xray to see your jaw in 3 dimensions so we can plan the dental implant surgery before we even see the patient. These 3d Cone Beam scans give us information like how much bone there is and also the density of the bone. We take these scans and an impression of the mouth and send them to our lab to plan the surgery and make a guided stent. A guided stent is like a stencil of where the dental implants will go. They are so accurate that the dental implants will be placed within half a millimeter of where we plan to put it. It’s all about placing a successful implant. In our practice we see a lot of dental implants that were placed improperly causing bone loss or even nerve damage. By planning on where the dental implant goes and using a guided stent we can be sure that the the surgery is a success and the dental implant doesn’t get rejected by the body. 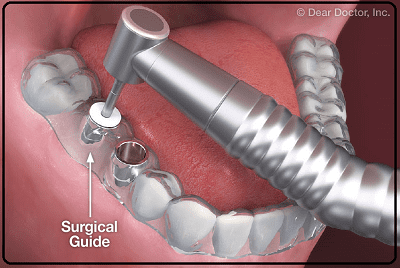 How do we place Dental Implants with Guided Surgery? During our FREE Consultation you will meet Dr. Kabaklian and talk about what teeth need to be replaced. Our office will set up an appointment to get a 3d Cone beam scan and impression and then we start planning the guided dental implant surgery. After a couple of weeks we will be ready to place the implants. Patients experience less pain with guided surgery because it is faster and less traumatic to the mouth and therefore patients heal faster. 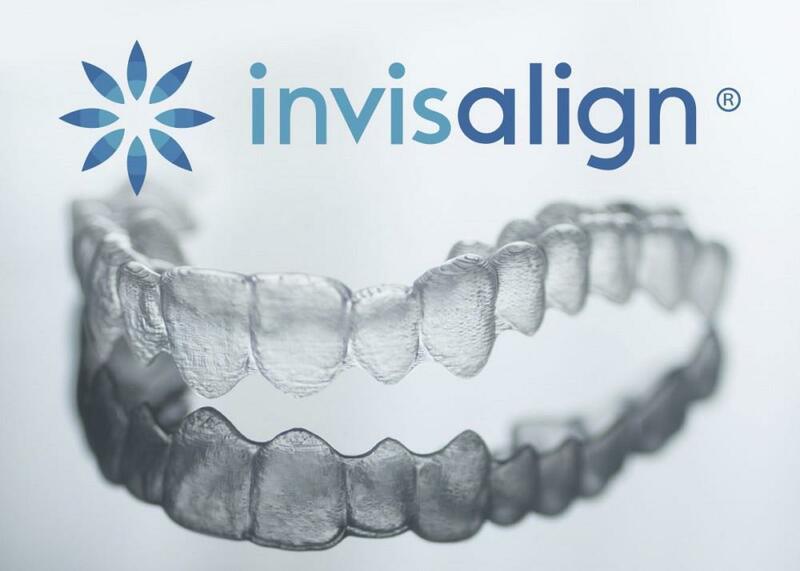 If you are missing teeth or need Dental Implants, give our office a call at (949) 873-0022 and book a FREE consultation today!